The Achieving a Better Life Experience Act, known as ABLE, was passed in 2014 in an effort to help people living with disabilities save money. Those who open ABLE Accounts can save up to a $100,000 without the risk of losing benefits like Social Security Disability Insurance (SSDI) and Supplemental Security Income (SSI). While states that adopt ABLE account options for people with disabilities is a huge step toward helping people gain economic independence, the law only applies to individuals under the age of 26. Hopefully, the age restriction will change in the near future to include a more extensive age range. With that in mind, it's worth pointing out that this year is the 28th anniversary of the Americans with Disabilities Act of 1990. Senators Richard Burr and Bob Casey, the co-authors of the ABLE Act, writing for CNN point out that one of the four goals of the ADA is to establish economic self-sufficiency for people living with disabilities. ABLE account expansion is one way to achieve such a purpose. The ABLE National Resource Center (ANRC) is using the month of August to promote their #ABLEtoSave campaign. 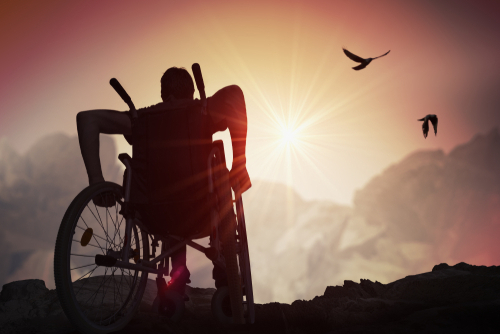 During this time the center hopes to both raise awareness about ABLE accounts and encourage people across the country to sign up for them as a way toward greater independence. If you would like more information on opening an ABLE Account or would like to participate in helping to promote the #ABLEtoSave campaign, please click here. As of August 6, 2018, more than 20,000 individuals with disabilities from across the country have opened ABLE accounts, according to the ANRC. If the Social Security Administration (SSA) denied your application for SSI and SSDI, The Driscoll Law Corporation could be of assistance. We can help anyone who is applying for the first time as well; please contact us to learn more about how the Driscoll Law Corporation can help you or a loved one. 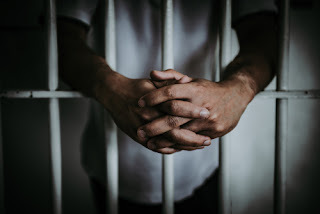 We cannot pay benefits to someone who, by court order, is confined in an institution at public expense in connection with a criminal case. When individuals are wards of the state, it is difficult to make the argument that they are still eligible for SSA support. Those subject to incarceration have everything—medical, food, and shelter—taken care of already. While a loss of benefits isn’t a welcome reality for those serving time, the good news is that in most cases payments will begin again upon release provided however that the length of stay is less than 12-months. It stands to reason that people receiving disability checks before jail will often require the same assistance after serving time. With that in mind, the administration provides several resources online to help steer such individuals in the right direction after release. The SSA points out people who serve more than a year in a public institution must file a new application and be reapproved for SSI or SSDI. There are mechanisms in place to prepare people for release regarding reinstating benefits. Many prisons have a prerelease agreement with the Social Security Administration, allowing inmates to get the ball rolling 90 days before the scheduled release date. If everything goes ideally, upon release benefits will recommence. If you would like more information on statewide prerelease agreements, please click here. People who are not serving a sentence in non-prerelease agreement facility should call 1-800-772-1213 Monday through Friday, 7 a.m. to 7 p.m. to schedule an appointment to apply for benefits. It is worth noting that some inmates are required to enter sober living homes or halfway houses upon release, which are often under the control of the Department of Corrections. As a result, residents of such programs are not eligible for benefits; because, they are still under the supervision and custody of the state. If Social Security benefits were only suspended, benefits could begin anew with minimal delay. If benefits were terminated, benefits could take a few months to resume; hence the need for preapproval agreements that mitigate the risk of coverage lapses. If SSI benefits were terminated, a new application and disability determination are required, and a decision could take from three to five months. Applying for benefits under any circumstances can lead to complications, reinstating SSI and SSDI isn’t any different. If you are struggling to reacquire support from Social Security, The Driscoll Law Corporation could be of assistance. Please contact us at your earliest convenience to learn more.